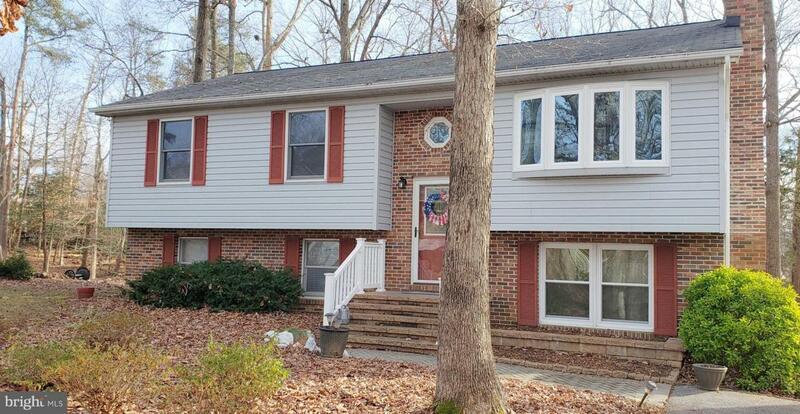 One owner beautifully maintained home with 4 bedrooms, 3 full baths. The kitchen has been updated with maple cabinets and granite counters. Beautiful hardwood floors on the first level. You will love the trex deck and screened porch overlooking the fenced backyard. In the finished basement a stunning wood burning fireplace in the familyroom and doors to the 2nd covered deck along with the 4th bedroom, 3rd finished bath and a large laundry/utility room. Custom updates throughout the house from the accordion Levolor blinds to the paved walkways and flower beds in the landscaped yard. New roof and HVAC within last 8 years. Located on quiet culdesac near the post office, take out food, gym and school.